You are here: Home / Family Living / 6 Ways Monthly Meal Planning Can Save Money! Have you tried Monthly Meal Planning? It can save you time, money, and your sanity, for real! The next thing that pops in your mind… and theirs? Fast food… it’s just easier and faster, everyone will be happy and you won’t have to wash dishes after. But, stop and think: now you’re about to spend FOUR TIMES what it would have cost you to make a meal at home. Let’s talk about how to fix this problem, save you money, and lower the stress of dinnertime. The solution is organization, planning ahead, which adds up to what we’re going to talk about here! Once you learn how to effectively meal plan you will become completely infatuated with MONTHLY meal planning! Weekly planning is great, but. monthly planning takes your stress levels down to an all time low! One more thing off your plate (no pun intended) means more time for other important things in your life. 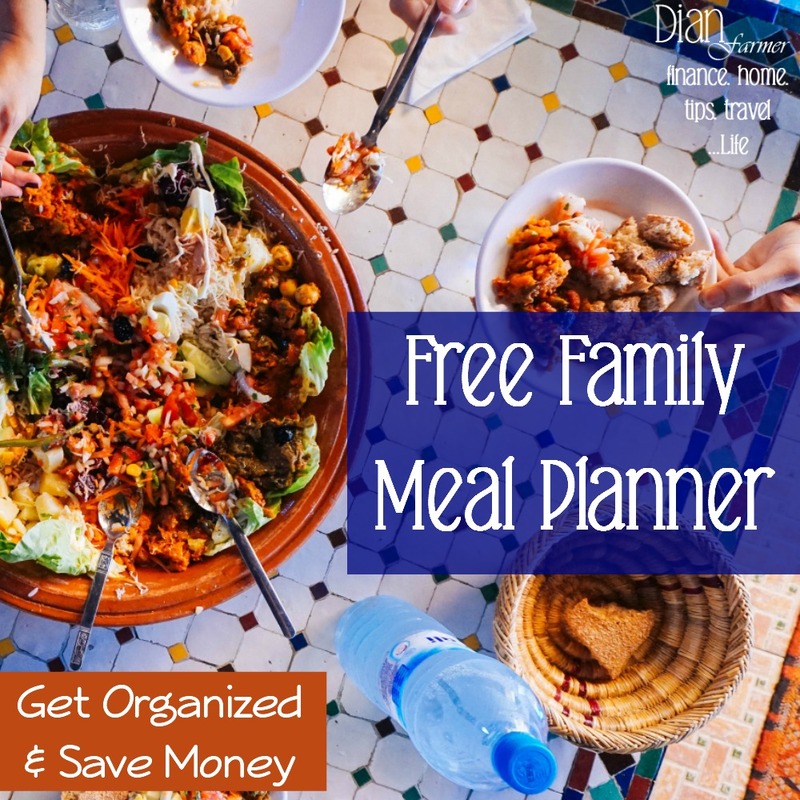 Don’t be overwhelmed by the thought of becoming a monthly family meal planner! Even if you’re a weekly meal planner, all you’ll need is a couple hours, one day a month, to plan for the next month. Get out your planner, favorite recipes, and of course Pinterest, and start making your menu and grocery list. You can also save a good amount of money with weekly planning. Once you give monthly planning a try you’ll be shocked that you can actually lower your grocery budget by as much as 50% and more! The very first thing monthly planning is going to eliminate is the urge to hit the drive through. Since you already know what you will be making for dinner each night, you already have the ingredients ready to go, it really is a no brainer! Every time you buy fast food you’re spending about four times the cost of making your meal at home. That certainly adds up! How many times have you been halfway through preparing dinner and realize that you are missing a key ingredient? Quickly you try to scramble up the kids (who are already hungry remember?) and make a run to the grocery store. Not only is this super stressful, chances are you are not going to strictly buy that one ingredient you needed in the first place. It’s a little scary how the costs of a few extra items each time you are at the store add up. 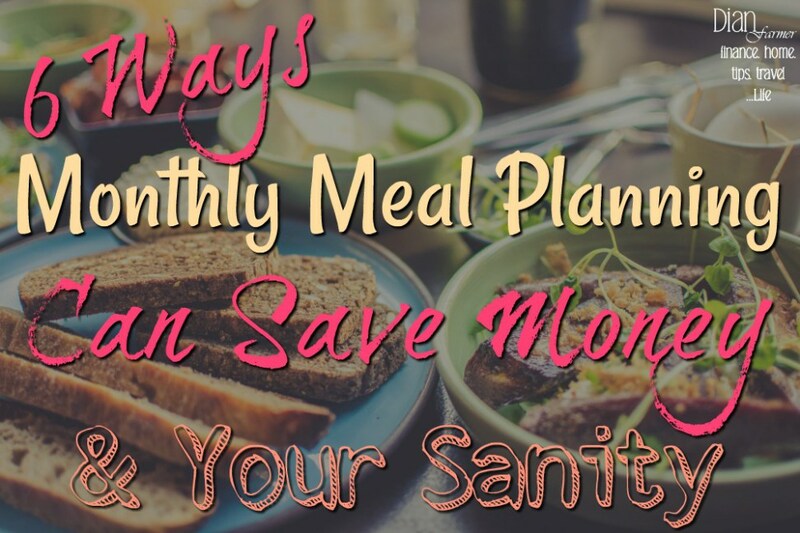 Monthly meal planning is going to drastically reduce the number of times you go to the store each month and as a result minimize this extra spending saving you even MORE. It’s simple. The less you have to drive your car the less gas you will use and the less money you will need to spend on gas. Once you start monthly meal planning you can save as much as over $100 each month on gas! Making less last minute trips to the store and doing one large shopping trip at the beginning of the month are both ways you are going to save money on gas. You know what I mean, that moldy old produce in the back of the fridge. It’s enough to make you sick (in more ways than one) when you have to throw out food. That’s just like throwing money in the trash. When you monthly meal plan there isn’t going to be any moldy veggies hiding in the crisper since you will only be buying exactly what you need. No more impulse buying because you think that you need an extra head of lettuce because maybe you will use it for a meal this week. No more throwing your money away! Are you a stressful spender? You might not even realize it yet but you might be. When the last minute dinner stress sets in, you are bound to spend more money than necessary. You will be amazed at how getting an entire month of meal planning out of the way is going to lower your stress levels and more than just at dinnertime! You will be freeing up more time in your week, and as a result you will have more time to think about all the other things that need your attention. You’ll be spending less money on groceries and gas meaning less stress paying the bills because you’ll have more to apply elsewhere. Monthly meal planning equals less stress! We know we aren’t feeding our family healthy food when we grab fast food. Even with fast food places making changes it’s still not healthy food. By creating your own healthy meal plans you know exactly what is going into the food you feed your family and you’ll eliminate the guilt that comes with the “fast food diet”. You’ll be setting your kids up to eat better for their whole lives and giving them a firm healthy foundation that will last throughout their lives, as well. Are you convinced to try out monthly meal planning yet? From saving your sanity, saving time, and money, to making healthier choices for your family monthly planning is a win-win situation for your everyone. Think about how much money it will save your family and how you can easily make monthly planning work into your super tight budget. If you decide to try it, please drop back by and let us now how it works out for you. Sharing with others helps us all.